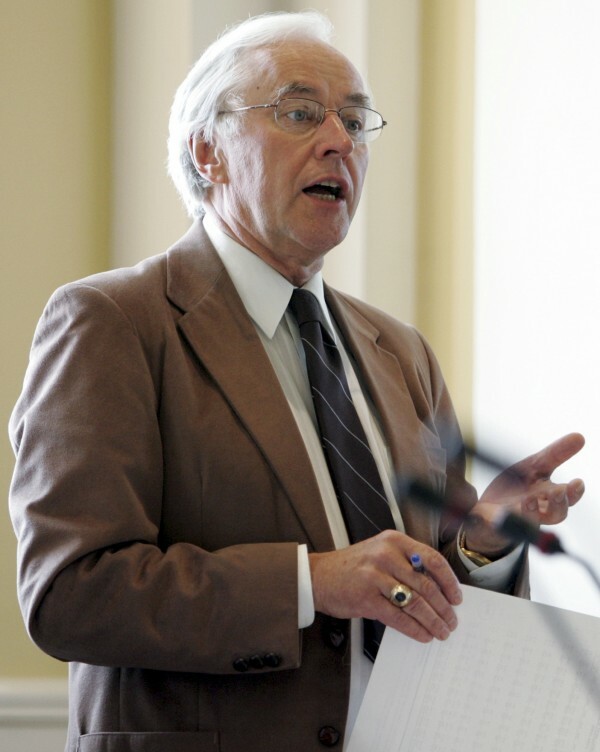 Sen. John Martin, D-Eagle Lake, speaks during a debate on bond issues during a special session at the State House in Augusta in July, 2005. After 46 years in the Maine Legislature, Martin for the first time was defeated in the Tuesday, Nov. 6, 2012 election. Just as state Rep. John Martin, one of the most powerful Maine politicians of the last three decades, is emerging from the bankruptcy of the convenience store he co-owns, along comes another financial problem. And this one has a new wrinkle – this time the back debt is to a government agency. The Northern Maine Development Commission, which is funded by the federal, state and local governments, says that Martin and a partner have failed to pay back $232,000 in loans and interest for their Eagle Lake restaurant and bar, called Tamarack Inn. The commission has asked a judge to foreclose on property Martin and his partner pledged as collateral. The 71-year-old Martin, a Democrat, was defeated two weeks ago by his Republican opponent — a shock to Maine’s political establishment. He told the AP his loss was due to negative advertising by the Republican Party. But residents in his district told the Portland Press Herald that news coverage by the Bangor Daily News and the Maine Center for Public Interest Reporting of the bankruptcy played a part in voters turning on him. In a response filed with the court, Martin and Soucie deny that they are in default. The money for the Tamarack Hill loans came from two programs, one funded by the U. S. Department of Agriculture and the other by the Finance Authority of Maine (FAME). The FAME case involved the Rock Lumber Company, a cedar mill in Portage Lake incorporated by Marcel Theriault and for which Martin served as corporate clerk between 1990 and 2000. In February and March of 1999, according to court documents, the lumber company took out two loans from FAME’s “Economic Recovery Loan Program” worth $301,000. The loans were guaranteed by both Theriault and Martin. While Theriault guaranteed the entire loan amount, Martin’s guarantee covered only five percent. FAME said that Theriault owed $327,931, plus attorneys’ fees and costs; Martin owed $16,395 plus attorneys’ fees and costs, according to an affidavit sworn by a FAME official on Feb. 28, 2000. FAME won its case – no defense was mounted by Rock Lumber, Theriault or Martin. In July, 2002, the court issued a “ writ of execution” against Martin, directing county sheriffs to collect “the goods, chattels, or lands of the Debtor to be paid and satisfied to the Creditor in the sum of $21,993.” The amount represented loan principal, late fines and attorneys’ fees as calculated two years after the FAME affidavit. In December, 2002 – nearly two years after FAME went to court to gets its money – Martin paid FAME $20,000, although his total debt at the time was $21,993. Norbert said that except for another $4,468 from Theriault, the balance of the loans plus interest – around $300,000 — was never paid. 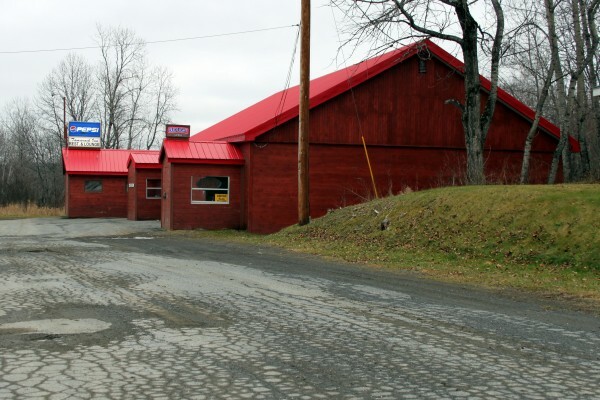 Records from Northern Aroostook Registry of Deeds and the Bald Eagle convenience store bankruptcy case showed that Martin has been late paying his property taxes on a number of Eagle Lake parcels over a period of many years. Tax records show that liens were placed on Martin-owned properties in Eagle Lake in mid- 2003, 2004, 2005, 2009 and four times in 2012. In August, 2002, Maine Revenue Services placed a lien on Moose Point Camps, owned by Martin and a group of partners, for $1169 in “delinquent” withholding taxes from 2001. That lien was released by the state in August, 2003. The Internal Revenue Service in February, 2005, placed a federal tax lien for $5,340 on the Moose Point Camps. The lien was for unpaid withholding taxes from 2003. It was released in April, 2005. In his recent bankruptcy filing, Martin and his partner in the Bald Eagle convenience store in Eagle Lake listed a debt to the IRS $4,456 in unpaid withholding taxes from the last three months of 2011, and the Maine Revenue Services $1675 in unpaid sales taxes from December, 2011. The state lien was released halfway through the bankruptcy proceeding. And in 2010, the Maine Revenue Services also placed a lien on Martin for $3,116 in unpaid sales taxes from the first half of 2009.